So, your business has many Facebook or Twitter followers and you want to further promote your services to them? 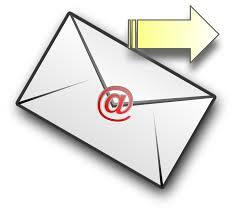 Try adding the email icon on your social media pages. Marketers often believe that social media platforms have limited capacities of expression and that emails have larger capacities of data representation. Therefore, by adding an email icon on your social media pages, you will give your marketing team better options in furthering their marketing strategies. Besides the icon option, you can also add a custom template, such as “Sign Up to your Newsletter”. Try to make it look interesting for the visitors and you will have a great blend of two successful marketing mediums all at one location.